There are great albums. There are seminal albums. There are divisive albums. There are underestimated albums. Radiohead’s Kid A manages to be all of them in one mesmerizing album. 10 years is an interesting vantage point. Sure, it’s an arbitrary period of time that stands out only because we evolved relying on a base ten numeric system, but it’s still a good place for us to take stock and look back. It’s been a little more than 10 years since the release of Kid A, the follow up to Radiohead’s groundbreaking OK Computer, which is still my favorite Radiohead album. Truth be told, Kid A is my 3rd favorite Radiohead album, after OKC and Amnesiac, but it’s all merely a matter of degrees on a scale of fanatical obsession, so the difference is rather nominal. If you want the history on the album, look it up on Wikipedia. If you want a lengthy discussion of its place in musical history, I’m sure that exists. Look elsewhere. This is about my personal perception of the album, how I first came to it, how I first experienced it, and my reactions to it now. I first started listening to Radiohead in the wake of Amnesiac‘s release. My oldest brother was (and is) a huge fan and he was attempting to get me into the band by letting me borrow his albums. I listened to The Bends and OK Computer first, as well as his bootlegs of the import EP, ‘Itch’. It wasn’t until the summer after my first year of college that I traversed into the “weird” albums, Kid A and Amnesiac. I borrowed Amnesiac first (which probably explains why I’m partial to that version of “Morning Bell”, a nearly sacrilegious stance among diehard Radiohead fans), and then embarked into Kid A territory. My brother was one of those people who didn’t fully go with Radiohead on these divergences. He liked Radiohead when they rocked, he liked them in the expansive, mindbending realms of OK Computer, but the less pop-oriented (pop being shorthand for all music that is meant for general consumption, not just Backstreet Boys and Britney Spears) natures of these two albums was a barrier for him, as it was for a great deal of fans and some critics (I suspect many critics who did praise this album did so just so as not to be seen as someone who didn’t “get it”). Kid A kicks off with three songs in a row that let their freak flag fly. “Everything In Its Right Place” begins with cool, digital piano work and Thom Yorke’s voice shimmering in a dispassionate haze. Eventually the background fills with a second version of his voice, distorted and disembodied, as well as all manner of glitches and scratches, sounding like a song playing over its own remix. And then there are the lyrics. What the hell do they even mean? Well, again, you can find dissections of all of Radiohead’s generally obtuse lyrics all over the interwebs. For my purposes, though, I’ll just say, “Yesterday I woke up sucking a lemon” is one of my favorite lines ever, and I have no idea what it means. I wish I could find more reasons to post it as my Facebook status. The song “Kid A” pushes it even further into the distortion of the new Computer Age, and if anyone was hoping “Everything…” was going to be an anomaly, they are quickly set straight. Once again, more distorted vocals (way more), more lyrics stripped of context, and still no apparent appearance of guitars. That was probably the greatest charge of betrayal leveled against the ‘Head: They had abandoned guitars, and considering that they had two phenomenal guitarists in the forms of Jonny Greenwood and Ed O’Brien, this was unthinkable. I will admit, this was one of the songs that took me longest to get into. There’s no real melody, no obvious musical passage upon which to latch onto. For me, this song is about wanting to fight against an oppressive power (political, generally), but the emotionless vocals reveal a kind of emptiness at the heart of the battle, as if admitting that these wars are perfunctory, the world will continue on as is. So, yeah, not exactly uplifting, but quite affecting in its lack of affection. “The National Anthem” is the first of the songs on this album that probably could have fit on OK Computer (or even The Bends), if not for a few tweaks. This song is propulsive and the horns throughout give it a punch that understandably makes it a fan favorite. Are there guitars? No, or at least, not noticeably, but it’s still fairly straightforward as a rocker (à la Radiohead), and if the album had kicked off with it, I think more people would have stuck around. Of course, the end of the song devolves into histrionic saxophone squeals, a cacophony that comes to a head in one final triumphant (or is it defeated) belch. So, yeah, the song is weird, too, but it’s pretty amazing, and rooted to a bass line that could shake a dance floor. Then comes the gorgeous, spectral “How To Disappear Completely.” This takes the haunting beauty of early Radiohead slow burners like “Street Spirit (Fade Out)” and “The Tourist” and perfects it to the nth degree. Talking about it only spoils it’s wonder. Just listen to it. No one can argue that Kid A is without humanity once you’ve heard that song. Next comes “Treefingers”, one of Radiohead’s infamous “palate cleansers” (for my money, Amnesiac‘s “Hunting Bears” is the best of these). Strange, sure, but no more so than “Fitter Happier”. Then comes “Optimistic” to completely trash the notion that Radiohead doesn’t play guitars anymore. Oh, they still play guitars, and when they do, they are masters. This song could appear on any album of Radiohead’s and fit in perfectly (maybe not Pablo Honey), it’s such a perfect example of what Radiohead does best: Snarlingly, yet slyly hopeful lyrics, Thom Yorke’s vocals floating through the rafters, another finely controlled bass line by Colin Greenwood (an underrated bassist, in my book), drums used more for texture than timing, and of course, guitars that steal the show. The jazzy outro is the only thing in the song that ties it to Kid A-period, Radiohead, but otherwise, this is timeless in the Radiohead oeuvre. 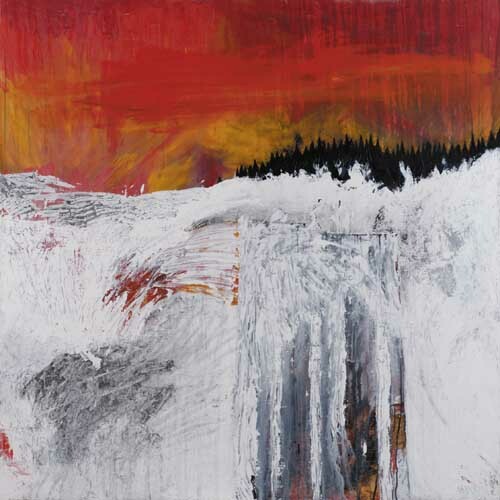 “In Limbo” returns Kid A to its more ethereal atmosphere, untethered to a central narrative arc, Thom Yorke’s voice once again comes and goes in the background while the central narrator warns, “You’re living in a fantasy world” (is it a warning?). This song has always worked for me in a way I could never fully explain. It’s a song that just makes sense, even though I can’t say what it all mean. “Idioteque”, probably in large part due to arresting live performances of it, has become one of the stand out tracks of the album. It’s also a dance track, though a sarcastic version of one (hence the name). Just like “Paranoid Android”, this is a song whose popularity among fans is greater than my personal love for it. I enjoy this song, think it’s brilliantly put together, but it isn’t among my favorites from this album. This is just a case of a good song being outshone by (in my opinion) greater songs. As I’ve already mentioned, I have a personal preference for “Amnesiac/Morning Bell”, but that doesn’t mean this version isn’t a true work of art. When I was first getting into these albums, I went on a journey to find out what some of these songs meant (Green Plastic and At Ease were invaluable for this purpose), and the explanation that stuck with me is that this is a song about divorce, two parents splitting up their stuff, including their kids, and going separate ways. In that context, this song is one of the most emotionally resonate songs by the band (in any version). The last minute of the song is chock full of instruments and sounds coming in suddenly and then leaving just as abruptly, and it’s all strangely fitting of the story. And then, finally, the song they’ll play at my funeral: “Motion Picture Soundtrack.” Yes, the harps make it a kind of obvious choice for the notion of passing over into heaven, but as an atheist who doesn’t believe in an afterlife, that’s not why I think it’s a perfect funeral song (though the harps are beautiful and ‘angelic’). And it’s not even the line, “I will see you in the next life” (though, that’s a hell of a way to end an album). No, it’s the lines, “It’s not like the movies / They fed us on little white lies.” If that doesn’t pretty well sum up everything I’ve tried to say with my life, I don’t know what does. Kid A has been labeled a classic and highly influential, and it is both (though, if we’re talking about adding electronica into standard pop music, I think the Postal Service have been emulated more slavishly). Unfortunately, what often happens with “Classic” albums is that they get bogged down in their history and become almost impossible to revisit for their own merits. Kid A still feels fresh and untainted by its stature, though. That’s partly because no one has managed to rip it off with some generic radio-friendly version of it (kind of hard to do when two major points of reference are Free Jazz and Olivier Messiaen). But I also think that it’s because Radiohead never tried to repeat themselves. If you haven’t revisited Kid A in awhile, turn it on, turn it up: It still has the power to surprise. Great write up. Randomly found your blog while looking to update my album covers. 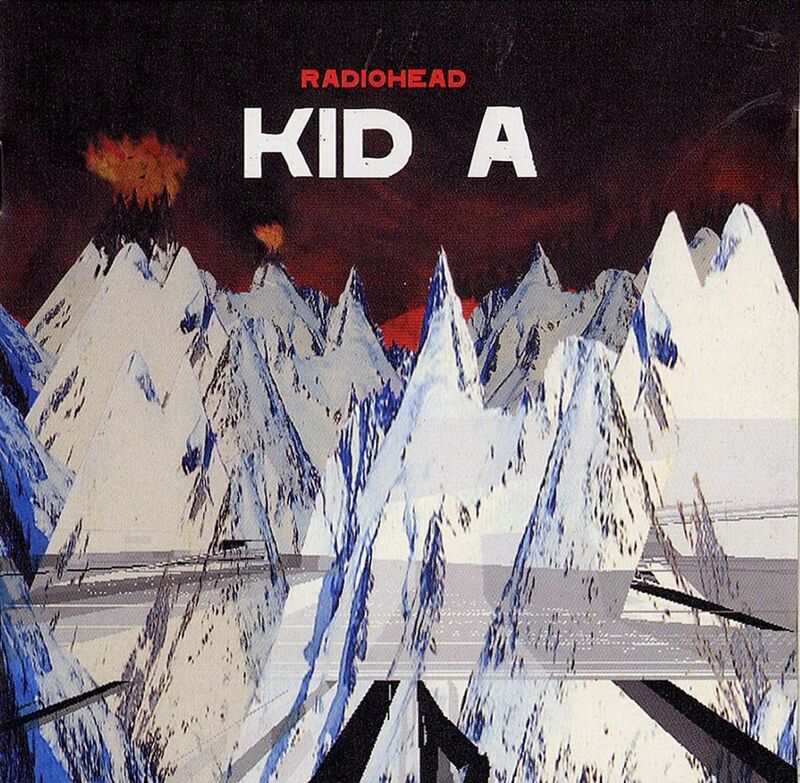 Kid A is my favorite Radiohead album and not to sound too cliché, it was one of those albums that I relied upon when I was going through the lowest part of my life. Haven’t listened to it in a while, though, but I just threw it on and zoned out to it once more. Thanks for the reminder. Thanks man, glad you enjoyed the read and that it encouraged you to revisit it yourself. Some music never loses its initial power.